All Glennville homes currently listed for sale in Glennville as of 04/19/2019 are shown below. You can change the search criteria at any time by pressing the 'Change Search' button below. If you have any questions or you would like more information about any Glennville homes for sale or other Glennville real estate, please contact us and one of our knowledgeable Glennville REALTORS® would be pleased to assist you. "Fulton Creek Ranch, an Impressive 839 acre California ranch; featuring diverse terrain, ranging elevation 3500-4200 ft. with amazing mountain & valley views, plenty of flatland & abundant water supply flowing from Fulton Creek, Cedar Creek, 2 ponds, year round spring, private well, & rainfall. Perfect working cattle ranch, dude ranch, or for the equestrian, featuring 40 x 60 steel building-hay storage, barn, working cattle pens, chute, fenced/cross fenced, & outbuildings. 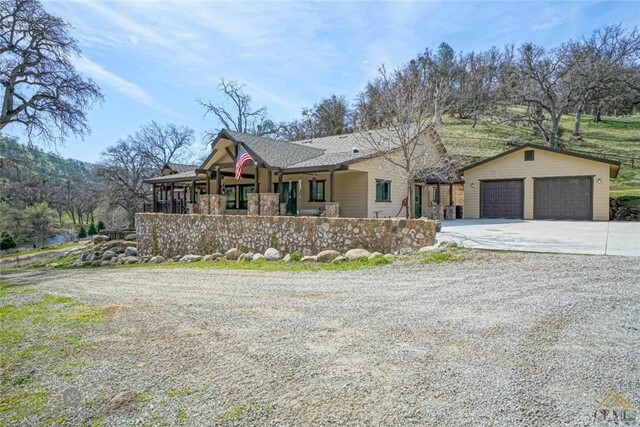 The 2013 remodeled residence boasts 2,600 sq ft of Ponderosa Style Living'' with amazing rock front, enormous deck overlooking the creek & pond. Massive chef kitchen, Family room with wood burning stove, open floor plan & high ceilings, 3 bed, 2.75 bath, office, plus a Clear Light infrared 2-person sauna. This truly is a family Ranch Retreat. Close by Greenhorn Mountain, Alta Sierra Ski Resort, Lake Isabella & Kern River for fishing, boating, water skiing, & whitewater rafting. Numerous trails for riding horses & ATV's"